Website editor’s note: The text below is a press release about the upcoming 2018 Sydney Vaccination Conference. The 2018 Sydney Vaccination Conference (SVC 2018) will be held on Saturday June 30th. The conference will focus on Australia’s current censorship of the vaccination issue. Australia’s top independent vaccine experts will be speaking. The 4 hour conference is organised by volunteer group Australia Let’s Talk About Vaccines. Tickets are available on eventbrite. ◼ Why can’t we talk about vaccines? ◼ Why are the media, pharmaceutical companies and industry lobby groups dictating government vaccination policies? ◼ More importantly, can mandatory vaccination policies actually protect our health? The conference will look at science and accountability in the vaccination industry. This includes the urgent need for an adequate active vaccine adverse events surveillance system to be put in place in Australia. The conference will also focus on the need for conflicts of interest with pharmaceutical companies to be made transparent at ALL levels of the current vaccination system in Australia. ◼ Brian Martin, emeritus professor, University of Wollongong. Author of the website OVER-VACCINATION. Challenging Big Pharma’s lucrative over-vaccination of people and animals. Founder of The Australian Vaccination Skeptics Network, 1994. Author of Gardasil: Fast-Tracked and Flawed. 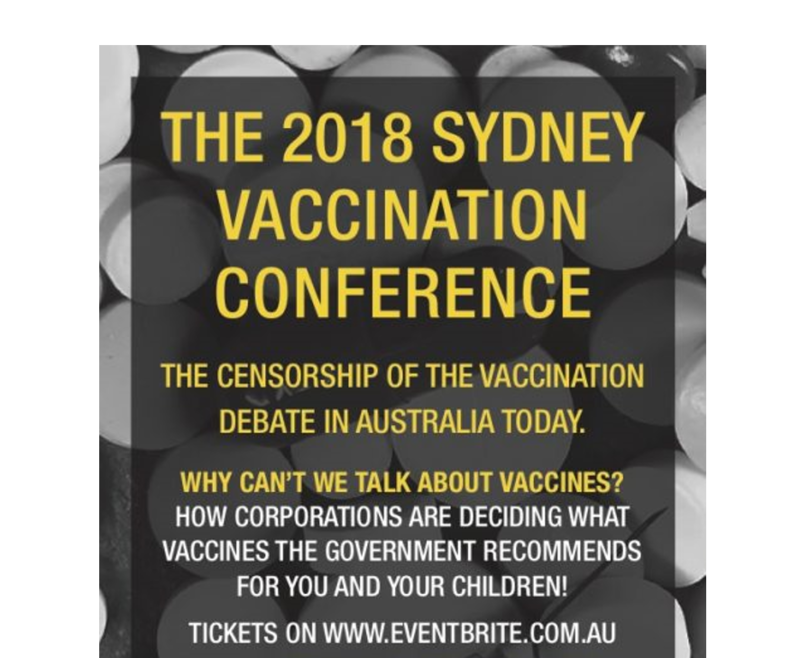 For questions and interviews please contact The 2018 Sydney Vaccination Conference Event Team from our Freedom of Choice website.